To the East of Pittsburgh, squeezed between Lawrenceville and Bloomfield, is the up and coming neighborhood of Garfield! 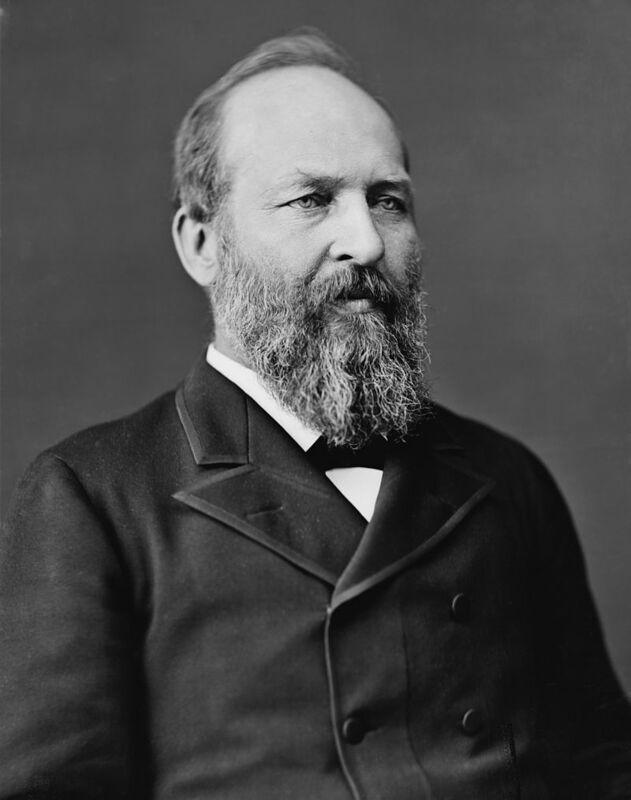 Receiving its namesake from being established the day US President James Garfield was buried, Garfield Pennsylvania is quickly becoming Pittsburgh's most lively community. This neighborhood emphasizes the arts, Eco-friendly habits, and community togetherness. With this kind of combination, Garfield is sure to grow exponentially in the years to come. In 1781, land was claimed in what we now know as Garfield by Casper Taub, who was from the local Delaware Tribe (an indigenous people of the Northeastern woodlands). In the late 18th century, Taub sold this land to his son-in-law, Joseph Conrad Winebiddle, whose family then broke up the land into lots, and sold the lots in 1881. The early settlers of Garfield were known to be blue collar Irish laborers and their families. Being made up of mostly Irish citizens, Garfield rapidly became an exclusively Catholic neighborhood. It was during this time, 1897, to be exact, that the St. Lawrence O'Toole Parish on Penn Avenue was built. 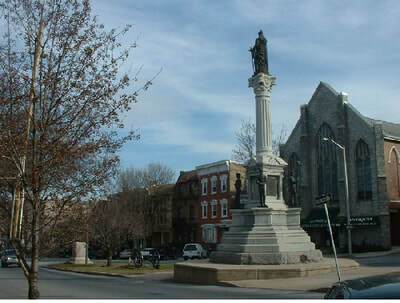 From 1880 to 1960, Garfield was filled with hard-working Americans and their families who took pride in their hometown. From 1960 to 1975, however, Garfield saw a sudden decline, as businesses closed and housing projects were built, which caused people to relocate and abandon homes in the neighborhood. 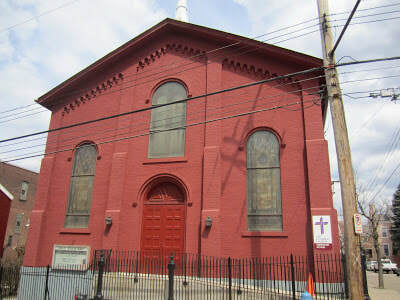 Fifteen years later, to stop the neighborhood's decline, the parishioners of St. Lawrence O'Toole Parish founded the Bloomfield-Garfield Corporation. This has become a community development that uses funds from both private and government sources to encourage home ownership and business development. 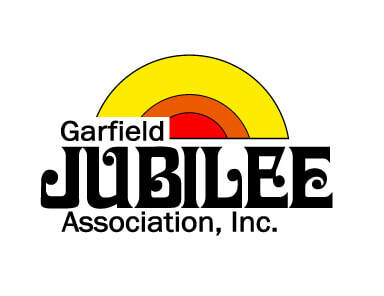 Then in the 1980's, the Garfiled Jubilee Association formed, bringing with it the goal of creating affordable housing. Finally, in 2000, the Bloomfield-Garfield Corporation and the Friendship Development Associates, Inc. came together to create the Penn Avenue Arts Initiative. This initiative was responsible for uplifting the Penn Avenue Corridor through the use of the arts. Today, Garfield is quickly becoming a neighborhood on the rise with a lively community that focuses on the arts while embracing their roots. Photo provided by: Garfield Jubilee Association, Inc.
A major passion of the Garfield community is their Eco-friendly initiatives. 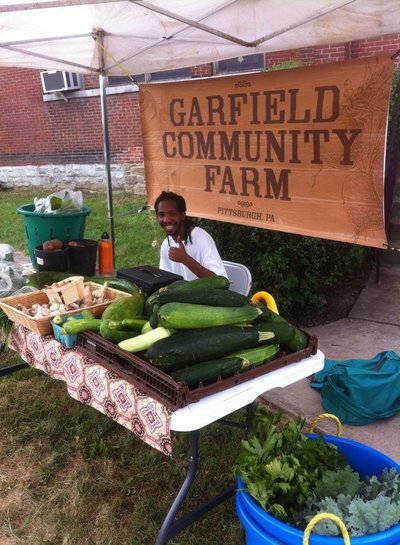 There are several urban farms that have popped up in Garfield, including Healcrest Urban Farm and Garfield Community Farm. The Healcrest Urban Farm is a 1.5-acre farm in the middle of the city, where medicinal and culinary herbs are grown naturally. This farm is also a community green space that homes certain wildlife that would otherwise struggle in a city environment. The farm sells its own original tea blends and farm fresh ice pops that are made to order for events, fundraisers, small grocers, and cafes. The delicious flavors of these ice pops include pumpkin chai, apple butter, and chocolate lavender! The other urban farm located in Garfield is the Garfield Community Farm, where their goal is to "seek to learn, teach, and practice organic gardening and farming in the places that have been neglected and abandoned in and within the neighborhood of Garfield". Garfield Community Farm houses a bio shelter and an indoor ecosystem where food can be harvested year-round. The bio shelter features insulation, a rain water collection system, animals, solar panels, and a passive air ventilation system. 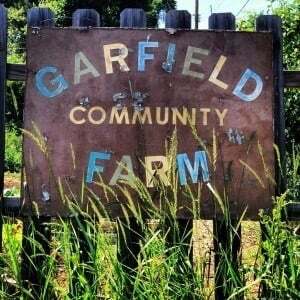 Garfield Community Farm offers farm tours, field trips, and classes to people of all ages. The Saxifrage School offers a 30-hour course on organic agriculture using the farm. Garfield is truly trying to make a difference in our ecosystem and make the world a greener place! After spending a day touring one of Garfield's urban farms, you'll be sure to have worked up an appetite. There are so many great places to eat or drink at in Garfield, that sometimes it can be a difficult choice to make. There are, however, several places to eat and drink worth mentioning. 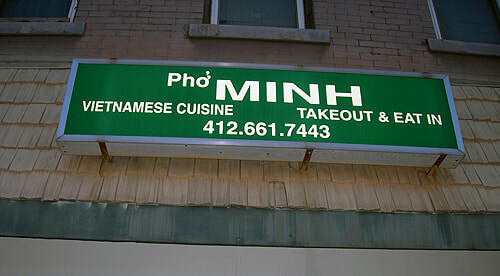 Pho Minh is a Vietnamese restaurant that features a vegetarian and tofu menu, as well as their famous special spicy soup and fresh spring rolls. Spak Brothers offers local, sustainable, and healthy when possible food. Their menu includes vegan cheese, pizza, hoagies, and wings. The cooks only use unbleached, unbromated flour and no refined sugars in their sauce or dough. 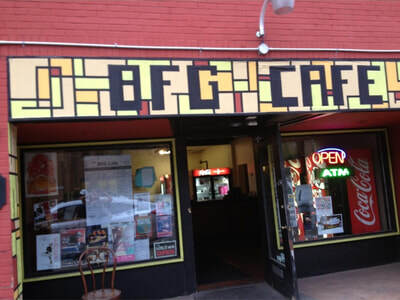 The BFG Cafe is a casual, art deco styled, traditional Greek cuisine restaurant that also contributes their own innovations. Their motto is "homemade, big portions, fair prices". They use fresh hand prepped ingredients with all their menu offerings including pizza, hoagies, gyros, and baklava. Finally, there is the Bantha Tea Bar, a permaculture tea bar. Here you can sit under the cobbed ceiling and order loose tea, coffee, kava, or small eats and sweets. This tea bar uses solar panels and a reverse osmosis water system to operate, welcoming Garfield's Eco-friendly enthusiasm. Of course, once you are done eating, you will want to check out the local shops! Embracing the arts, most of Garfield's shops are like nothing you've ever seen before. 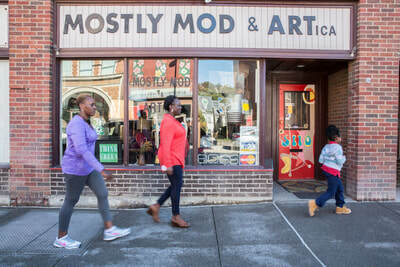 On the first Friday of every month, you can explore the mid-century and antique furniture, collectibles, jewelry, and so much more at the ARTica Gallery and MOD design shop located on Penn Avenue. If you have a taste for Hip-Hop music or are a fan of Mac Miller, then Daily Bread is the place for you. Founded by Bill Niels, who was part of Mac Miller's crew when he first started his career, Daily Bread is a lifestyle brand that provides fans with stylish street wear such as denim and hats. Daily Bread also doubles as an entertainment spot sometimes, hosting events such as concerts, art gallery exhibitions, graffiti contests, and more! Finally, visit Refresh, Pittsburgh's first sneaker cleaning, consignment, and buy, sell, or trade shop. Here you will find a wide selection of rare sneakers and clothing. Refresh also hosts Pittsburgh's biggest sneaker conventions as well as pop-up shows and in-store events. These are just a few unique stores that one could find in Garfield. If the events hosted by Daily Bread or Refresh aren't enough for you, there are plenty more entertainment options to choose from. ​Since Garfield has such a passion for art, it makes sense that there are a slew of art galleries and performance spaces. There is Assemble, a community space for art and technology founded by Nina Barbuto. Here, kids and adults of all ages connect through gallery shows, community talk backs, learning parties, and workshops that focus on science, technology, engineering, art, and math. 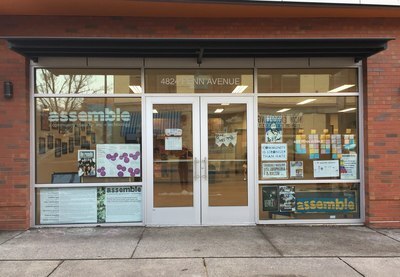 Assemble is a great after-school or work program to get into. If science isn't your forte, check out the Irma Freeman Center for Imagination, an arts and green energy community center. Using art, the Irma Freeman Center for Imagination encourages confidence through creativity and knowledge of sustainable living. At the center, you can visit art exhibitions or take classes in yoga, Zumba, kung Fu, and even an African drum class. Lastly, there is the Pittsburgh Glass Center, "a nonprofit, public access school, gallery, and state-of-the-art glass studio". You can even watch live hot glass demonstrations. These are just a few of the fun things to do in Garfield, but wait there is one more event you must attend in Garfield that is held once a year... The Turkey Bowl! Every Thanksgiving, residents of Garfield organize the Turkey Bowl, "a just for fun football match" between the kids, aka Young Bucks, and the adults, aka Old Heads. This is one tradition no one wants to miss in Garfield! As you can see Garfield has so much to be a part of and it all takes place in an area of 293 acres! Whether you are just visiting or living in Garfield, there is always a place for you to go. As an up and coming neighborhood, don't miss out on all the fun there is be had in Garfield Pennsylvania.